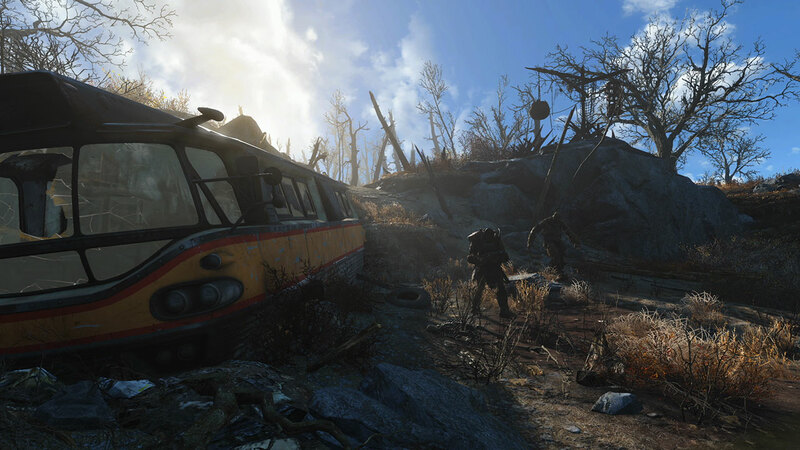 Bethesda’s Fallout 4 is set in a post-apocalyptic wasteland, thanks to a nuclear fallout that rendered the environment gloomy to watch. Mostly it’s dirt and sand everywhere. The game’s setting, Commonwealth, is probably the most beautiful during the game’s night time — unless you’re surrounded by enemies. Enter the Fallout 4 Seasons mod by GameDuchess at NexusMods. This mod is exactly as the name suggests: adding the four seasons to the game’s barren landscape, making it a bit livelier and colorful. Although the use of all four mods at the same time is not advisable, otherwise the frame rate might suffer. This is because the mod was not made through an official mod kit, which is yet to be released by Bethesda. Also, the game does not automatically switch seasons according to the date. Players will have to manually switch them. So, in a way, it might be a good thing for those who like an eternal winter or an endless summer. The Fallout 4 Seasons mod makes the game a lot nicer to look at, especially during spring and summer. With all the green those seasons bring, players might feel like the nuclear fallout never happened in the first place. The winter season basically substitutes the sand or dirt color for white, which is less gloomy. And the autumn season basks the environment with red-orange that might induce nostalgia. Once the official mod kit by Bethesda is released, this Fallout 4 Seasons mod will no doubt go to another level. In the meantime, players can just sit back and allow the whiteness of winter envelope the barren wasteland. Modding is one element that extends the lifespan of a video game. In rare cases, a mod can take on a life of its own and spawn an entirely new series that rakes in additional profit for the developers. Just ask the series that originally started from a Half Life mod or that survival horror mod that spawned from a military shooter game. Originally, modding was frowned upon by video game developers, taking it as a tampering of their product. But with the way it promotes their original game, they have now taken a consenting approach, even going as far as providing the gaming community with the actual modding tools for them to play around with. Mods are also a perfect way for players to truly play their games exactly the way they want them to be, especially aesthetic-wise. And, frankly, some of them are just really, really cool.